Lake Tahoe AleWorX hosts its first-ever Autumn Carnival on Sunday, Oct. 22. Costume contests, carnival games, face painting, live music — what more could you want from a fall festival? 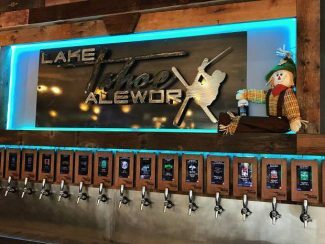 Experience all that and more on Sunday, Oct. 22, as Lake Tahoe AleWorX turns its patio into a haven for family fun in celebration of the season. Known as the Autumn Carnival, AleWorX’s first-ever fall party begins at noon, lasting throughout the afternoon and into the evening. “We’re trying to combine the idea of an elementary school carnival directed at kids aged 5 through 10 and extending it forward through to our parents’ generation and have it be exciting for everyone. 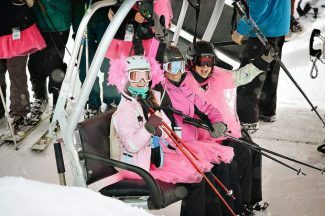 “That’s why there’s carnival games, face painting, a photo booth and costume contests for the whole family: to get everyone involved,” said AleWorX CEO Luca Genasci. 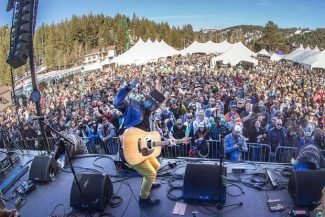 The Autumn Carnival will also feature The Loft’s Magic Fusion show, in addition to a two-hour paint ‘n’ sip class, a performance from Tahoe Fire Dancers, a pizza-eating contest and barista throwdown. The coffee competition will be held in three rounds, and baristas interested in participating are encouraged to call Revive Coffee & Wine (530-600-4007) to enter. There is no deadline to register for the event. “We’re trying to push a fun activities as the slow season sinks in… The idea is to continue to make AleWorX and The Crossing a community place,” Genasci noted. Prizes will be rewarded for all contests, and include gifts from Autumn Carnival sponsors Revive Coffee & Wine, South Tahoe Standup Paddle, Lake Tahoe AleWorX, Blue Zone Sports and more. Learn more about the Autumn Carnival and view a complete schedule on the Lake Tahoe AleWorX Facebook page (@laketahoealeworx). 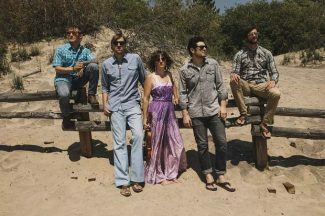 The event, which is free to attend and open to all ages, concludes at 8 p.m.
Lake Tahoe AleWorX is located at 2050 Lake Tahoe Blvd.